Contact the Program Coordinator, Holly Peterson, at msedsci@unk.edu or (308) 865-8043 with any additional questions. What classes are required to complete the Science/Math Education M.S.Ed. Program? Supporting Courses (6 hours outside the major emphasis in two disciplines). Is a thesis project part of the program? No. There is no thesis project. 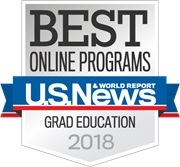 There is a capstone course incorporated into the program which gives the student an opportunity to apply new content and methodology in his or her own classroom setting. What are the requirements for admission into the Science/Math Education program? To enter the program you must have a Bachelor’s Degree with a teaching endorsement in Biology, Math, Chemistry, Natural Science, Physics or Physical Science and a standard teaching certificate or license. Applicants with middle-grades teaching endorsements may be admitted into the program depending on their level of undergraduate science/math preparation. As an institution, UNK has a minimum overall undergraduate grade point average requirement of 2.75 (on a 4.00-point scale). The Science/Math Education Program Committee also evaluates the math, science, and teacher education course experience and grades. Can exceptions be made to some of the requirements? If you do not have a teaching certificate/license but are actively working toward it or if you are teaching in a private school, we will be happy to consider your application if your undergraduate math, science, and teacher education course background is comparable to those who have earned B.S.Ed. degrees. Where can I find information about individual courses offered? To qualify for work on this degree, a student must have an endorsement in Biology, Chemistry, Mathematics, Natural Science, Physics, or Physical Science and meet the general requirements for entrance to graduate studies. Applicants with middle-grades endorsements may be eligible for admission depending on their level of undergraduate science/math preparation. Admission to degree work is contingent upon evaluation of transcripts. Submit evidence of your current or most recent teaching certification or license. Address letter to Dr. Christopher Exstrom, Professor of Chemistry, University of Nebraska, 2401 11th Ave, Kearney, NE 68849. Describe your current teaching position. Discuss how completing the UNK Science/Math Education M.S.Ed. Program will help you meet your educational and professional goals. Summarize your undergraduate science, math, and educational training and how it prepared you for our program. If your current teaching certificate or license is from a state other than Nebraska, include a brief explanation of the certification/licensing requirements in your state. Send an official transcripts from all past institutions (besides UNK) to the Graduate Office. Once your application is complete it will take the Science/Math Education Graduate Committee about two-three weeks to process your application. Once you’ve received an acceptance of admission notification, you may register for class by accessing UNK’s MyBLUE registration system. If you have questions about Financial Aid, please contact the Financial Aid Office at (308) 865-8520. Can I transfer in graduate course credits from other institutions? There is not a limit of the number of credit hours that can be transferred in from within the University of Nebraska system. If you are currently living outside of the United States and considering UNK for your graduate coursework, you are not alone. UNK is a leader in international education with a significant international student population. The basic application process is the same no matter where you’re from whether it is Nebraska or Nepal. However applicants from outside the U.S. do have a few additional requirements. These requirements are to ensure your success at UNK while making your transition to the U.S. as easy as possible. Here is the admissions process for students who are not U.S. citizens or who have been educated outside of the U.S.
1. Apply online: The application is the same for all students. You can find the application HERE. Students admitted for the first time thru the Graduate Office at UNK or have not taken courses as a graduate-level student within the last two years, are required to pay an application fee. 2. Submit an official credential evaluation of all transcripts or mark sheets from all previously attended colleges and universities outside of the U.S.: This ensures that your degree is equivalent to a U.S. bachelor’s degree. Any approved NACES evaluation firm may be used for credential evaluations. Approved firms can be found at www.naces.org/members.htm. It is extremely important that your transcript evaluation is done on a COURSE BY COURSE basis and NOT a document by document basis. 3. Submit a completed Financial Affidavit: This will ensure that you have enough money to support yourself while in the U.S. Original Financial Affidavit and official bank documents must be mailed to Graduate Admissions, FDHL 2131 - 2504 9th Avenue, University of Nebraska at Kearney, Kearney, NE 68845. 4. Submit an official TOEFL (http://www.ets.org/toefl) or IELTS score (unless your home countries native language is English, or you have graduated from a U.S. college or university): This is used to ensure that you are prepared for coursework taught in English. Score must be sent directly from the Educational Testing Service. The minimum TOEFL score accepted is 550 for the paper version and 79 for the Internet version. The minimum IELTS score is 6.5. 5. Comply with departmental admission requirements: Each program may have different admissions requirements. For example, some require GRE scores. These requirements will be found within the online application when you apply. They can also be found with the graduate catalog HERE. The online application allows students to upload required documents except for the Credential Evaluation and official score reports. 6. Students may monitor their application status through their MyBLUE account. 7. Once all the above documentation is received, the student’s application will be forward to the specific department for review. (Departments vary in how often they meet to review applications, so contact the department for more information.) The department will notify the Graduate Office of the admission decision.